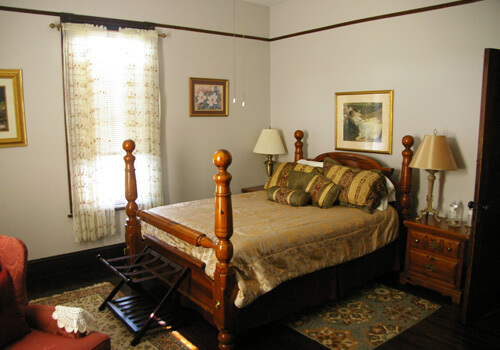 Everyone who works here at Home Sweet Home Bed and Breakfast takes pride in this 120-year-old home. We also take pride in the service we provide to all who visit us. A beautifully restored 1909 fine-home furnished with antiques and today’s conveniences located in historic downtown Paris. 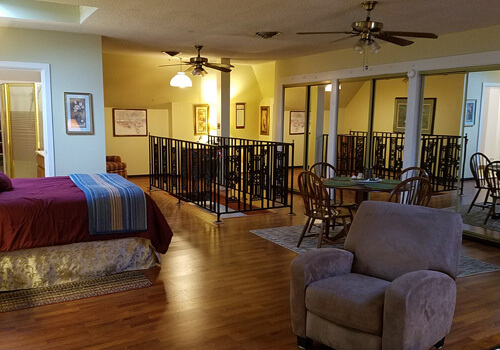 We offer, privacy, security, and a Home-Like atmosphere to all who stay with us. 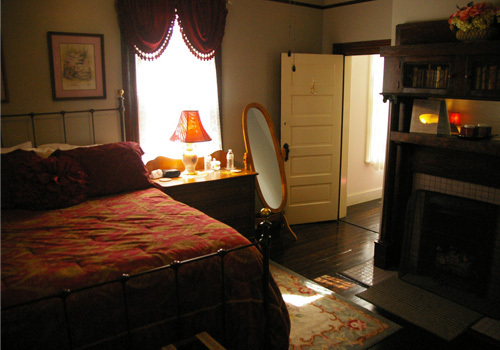 On the main floor we provide two large guest rooms, the Rose Room and the Magnolia Room each with fireplaces and private baths. Additionally you may want to consider the upstairs Paris Suite for stays of two or more nights. Recently we have added The Blue Room also available for stays of two or more nights. 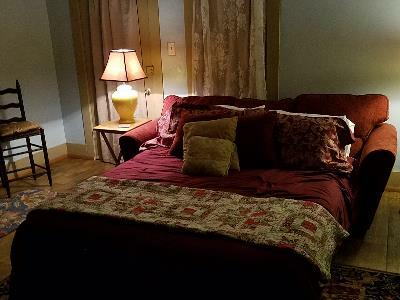 All guests are free to enjoy the large living room with a fireplace for those cool evenings and our Center Room library for your reading pleasure. From the time we first make contact with you until the time you leave, you'll receive top-notch service. Top Notch, Five-Star Service... please check our reviews on Trip Advisor, BedandBreakfast.com, AirBnB.com, as well as on this site. Breakfast is served in our large dining room or on our covered back porch overlooking the back yard. Our breakfasts are excellent and always receive rave reviews (check it out here)! We hope to make your stay with us a time of rest, hospitality, privacy, and really good food. Expert advice and discussion on local attractions is always eagerly shared. As you are reading our site you are encouraged to book your stay from this site or by calling us. We are not corporate bound so there is lots of flexibility here, always call us if questions or special considerations arise. Through each transition over all those decades the house has been loved. There is an air of welcome and hospitality that touches all who enter here. I am honored to be the current owner and operator of this wonderful 1909 built fine-home. If you are coming to Paris, TN... come stay with us if you can. Home Sweet Home is ideal for business meetings or a family get together. We have the Center Room offering space, privacy, a large screen monitor, whole-house Wi-Fi, comfortable chairs, and large conference table to seat 6-8. We work hard to accommodate the needs of our business travelers and guests. Many of our guests are return business travelers. Let us be your home or office while you are in Paris and Henry County, conveniently located near Murray State Univ, Bethel University and all of the nearby antique stores in Murray, KY and McKenzie, TN.